Although they were a few years away from graduating from college, I realized they had limited knowledge about the achievements of historically important black Americans. I was surprised they did not know the answer to questions such as, “Who was the first black female millionaire?" 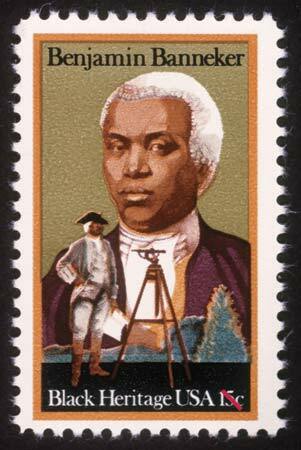 and "Who was Benjamin Banneker?” I was shocked at the answers I received. After thinking about this I realized their lack of knowledge was certainly not related to intellect but was a result of our culture where the achievements of historically important blacks are absent. If you asked them about the latest hip-hop star, athlete, or movie star, they probably could give a brief biography on several of them. Yet, they were unaware of black Americans that not only prospered in their chosen field, but helped shape the course of American history. Movies like The Help, The Butler, Precious, 12 Years a Slave, Training Day, etc., were all award winning films with black people as central characters. All won some type of award, nomination and/or had actors that were recognized with awards. Sounds good outwardly, right? If you take a second glance, you will notice all of these movies promoted stereotypes of black people. Films and television programs, along with R&B artists and hip-hop stars who are way too numerous to list, all contribute to the negative black stereotypes. My thoughts? Despite Hollywood's overwhelming Democrat support, which is supposed to be sensitive to our community, Hollywood is more comfortable when we (black people) are in our place. I can hear the pro-Hollywood crowd now… but these pictures and others are only reflections of what has happened or what is currently going on in our communities. True, but so were many other positive black people that are rarely mentioned. Why not make a major motion picture about George Washington Carver who was both a brilliant scientist and a man of God. Or Charles Drew who made amazing medical discoveries with blood plasma that led to the invention of the blood bank — something uplifting that the black community could look up to as a model of progression. In the end, we have to ask ourselves: If Black History Month, and black history overall, was truly honored in our schools, homes and our communities, our standards in what we call black entertainment wouldn't be allowed. We as a people would demand better and because money talks above all else in Hollywood, we would get what we asked for. As long as we demand, and often times accept, lower standards and stereotypical entertainment, then lower standards are what we will get. And if black Americans refuse to recognize that one of the greatest threats to continue stereotypes in entertainment are elite-minded liberals that claim to be our friends, we will keep getting the short end of the stick. It's time to honor the memory of those that made Black History Month possible and start telling the true story. Hollywood, we have enough movies that glorify the ghost of our past. Let's take a chance on introducing movies that highlight the accomplishments that black Americans have made in our country's history. Maybe then we will inspire more of our people to greater things when they realize how great black history in America really is.